If you head into the mountains this summer, here are a few of the most common flowers you might see. 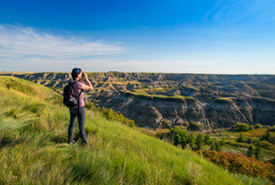 If you want to experience Alberta’s iconic Badlands, NCC’s Nodwell property is the perfect opportunity. This Nature Destination is part of a network of conservation sites across the country that are open for public use. 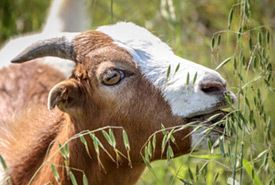 Jeanette Hall, owner of Baah'd Plant Management & Reclamation, has a solution for invasive weeds: a herd of weed-eating goats. Wild animals actively avoid humans, and it’s important to know which species are living on or travelling across our conservation sites. 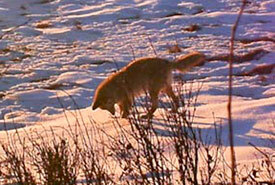 Trail cameras can help record what kind of animals are making use of the properties at all times of the year. When you're outside walking along and viewing all the majestic scenery at one of the Nature Conservancy of Canada’s (NCC) Nature Destinations, the last thing you want is to wind up feeling hungry. The solution? Pack some snacks! I’ve always loved plants. I like the colours and the smells, and I love the feeling I get when I’m surrounded by them both inside and outside the house. It turns out I’m not the only one. 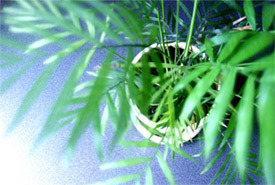 There are many positive effects that plants have on our mental and physical health.